Thoughts, experiences and ideas from a teacher and learner (ancora imparo). 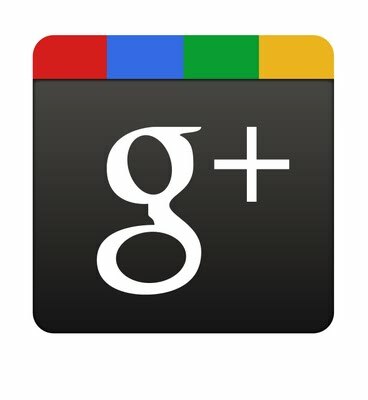 After a couple of days exploring Google+ (G+), I thought I should share my initial thoughts, particularly in terms of its potential to be used in education. If you've been following me for a while, you may recall my predictions when GoogleWave was launched - and hindsight shows that I was wrong there! Google appear to have learned a lot from their Wave failure - and from Facebook's success, many aspects of which they have replicated in G+, such as the familiar "newsfeed" structure. As an educator, I can see enormous benefits in the G+ "circles", which allow users to easily compartmentalise their social networks. (Sure, this has been possible in Facebook for a long time now, but very few of us ever used this functionality.) This grouping of contacts gives us a single click ability to focus our feeds, and attention, down to very specific levels. When it's time to socialise, we can easily view our friends' feeds Similarly, when it's time to work, another single click removes the distractions. But... I think it's still too early to be calling G+ a "Facebook killer". Google face a huge barrier to adoption, particularly when dealing with students. The thread that connects G+ and its users is an email address - and, unfortunately, email is no longer the centre of a teenager's online identity. For me, and my GenX and Boomer colleagues, email is vitally important, but our students' online lives are more likely to revolve around their Facebook profiles, not an annoying email address that they rarely bother to use, other than for official correspondence with their dinosaur teachers, or the monthly telephone bill and bank statement. Yes, email is the equivalent of a window-faced envelope! So, without a "Facebook export" function of some sort, Google have a huge battle ahead of them. Until then, we are likely to see G+ as a cool place for geeks and "older people". Are you on G+ yet? What do you think? I'd love to hear your view. You are very right about email being "ancient" now. I feel as though it's demise is the result of people being bombarded with valueless "junk-mail". When we give out our email, we are trusting the person or organisation to be respectful of our personal online space and I think that most companies have well and truly broken our trust! In reference to G+, I don't now if they will ever overthrow Facebook on the social networking thrown however I'm pretty sure I would have said that about MySpace 5 years ago! I feel that most people have invested too much time and energy into their Facebook world to abandon it now - its become a part of or lives and an addiction of sorts! Plus I find G+ too confusing and too hard for my super short, Gen Y, online concentration span!